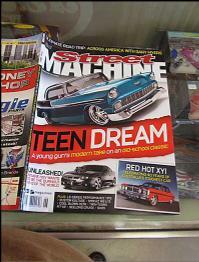 Boerne Stage Kustoms will post our latest news and what our plans are here. Look for updates as we go along. 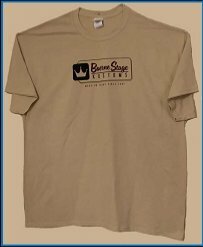 We look forward to your visit and we will update this page as often as possible. 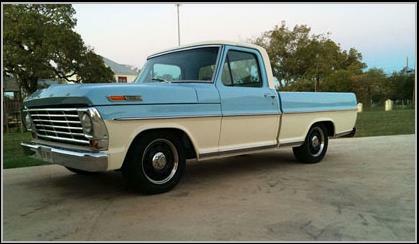 Recent work on a Ford F100 has been completed by Boerne Stage Kustoms. This truck has a Ford Crown Victoria frame with Police Package engine and drivetrain. Another nice ride built by the team. 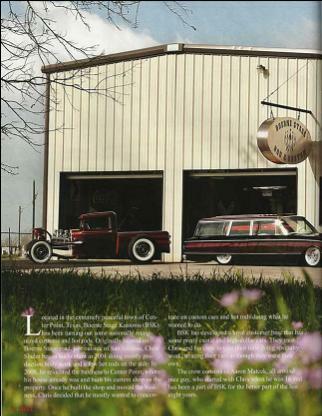 Article by Hill Country Car Culture magazine premier issue took a look at Boerne Stage Kustoms and the crew. 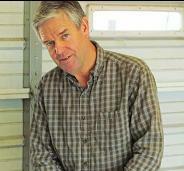 See more on our Press page. 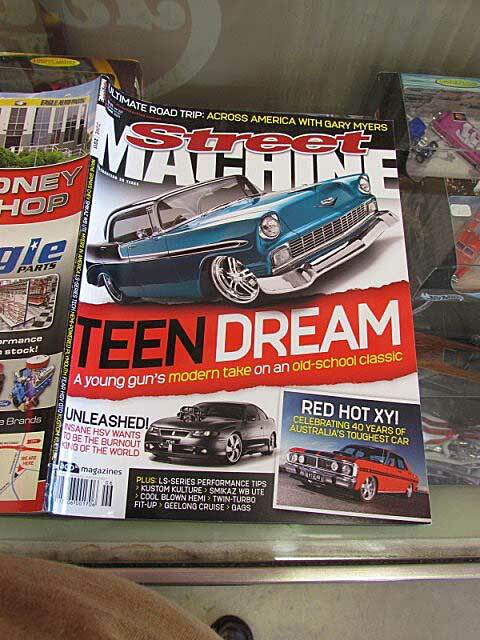 Chris' 61 Falcon wagon was featured in Street Machine an Australian publication.Boerne Stage Kustoms went to the Lone Star Roundup in Austin, Texas and had a very good response with all the cars that were taken. 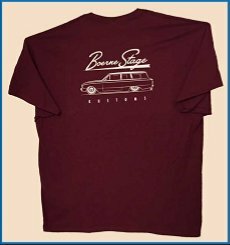 In January 2011 Boerne Stage Kustoms went to Corpus Christi Auto Rama with Chris' Falcon Wagon and set up a booth and got some more business for their shop. 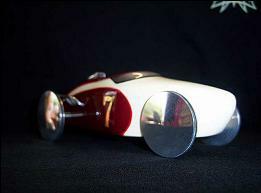 They want to thank Gannems Garage for the Best Of Show Trophy. 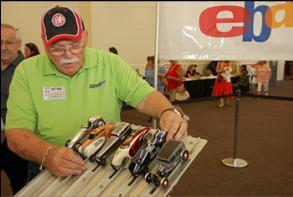 Thanks to John Jackson from Not Stock Photography for the sweet shots of the cars. 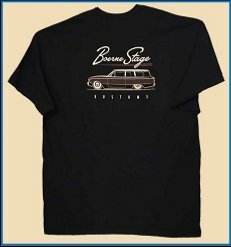 Boerne Stage Kustoms won this award when they went to Long Beach, CA to the "Showcase O Kustoms" show for Chris' entry, his 1961 Falcon Wagon. 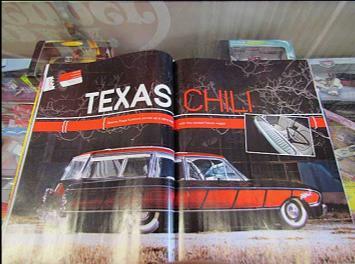 Boerne Stage Kustoms won this award at the "Corpus Christi Auto Rama" for Chris' '61 Falcon Wagon. 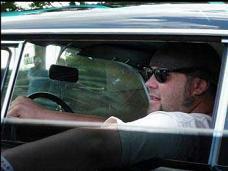 On the 24th of July, 2010 Boerne Stage Kustoms went to the SEMA Pinewood Races in Pasadena, California with their entry. 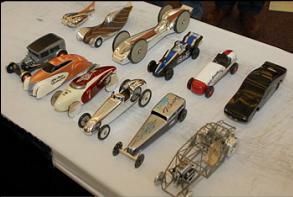 The cars were sold for charity in E-bay recently. 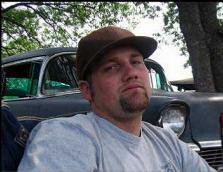 Here's a few pictures. 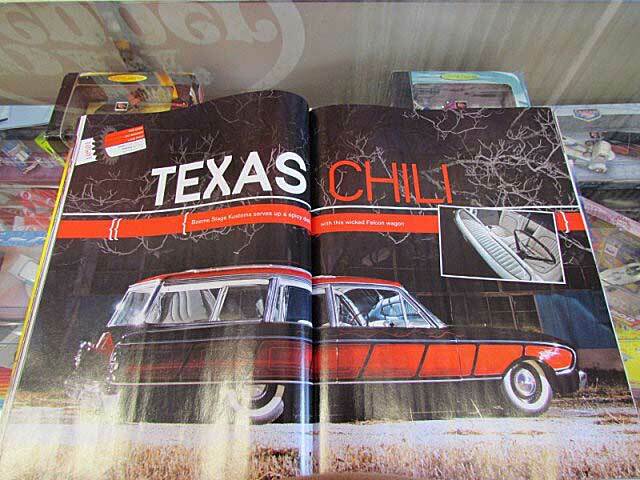 More of the car in the Gallery. 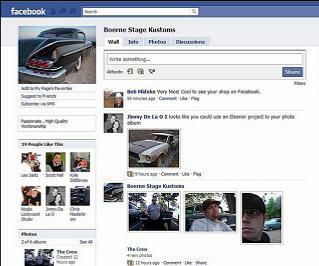 Boerne Stage Kustoms is now on Facebook we want to invite you to follow us. 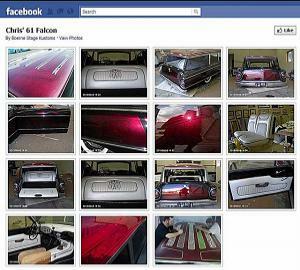 We will try to update it as often as possible with upcoming news and pictures of our cars and trucks. Thanks, The Crew. 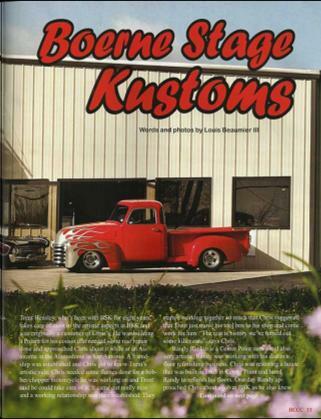 The Guys at Boerne Stage Kustoms wish to thank you for your visit and keep tuned in for news around the the shop.